A sense of purpose and impact is crucial to engage your employees. By giving them the possibility to track their own KPIs they can measure their own improvement. Employees are given the chance to learn from their mistakes, all the while being coached by their customers. Simply put, you need a toolbox that gives your employees grip on their processes and shows them how they can improve their numbers. Our Artificial Intelligence has got you covered. Thanks to ISAAC you can customize dashboards to coach every employee on an individual level. These individual dashboards only contain feedback employees can have an impact on themselves. 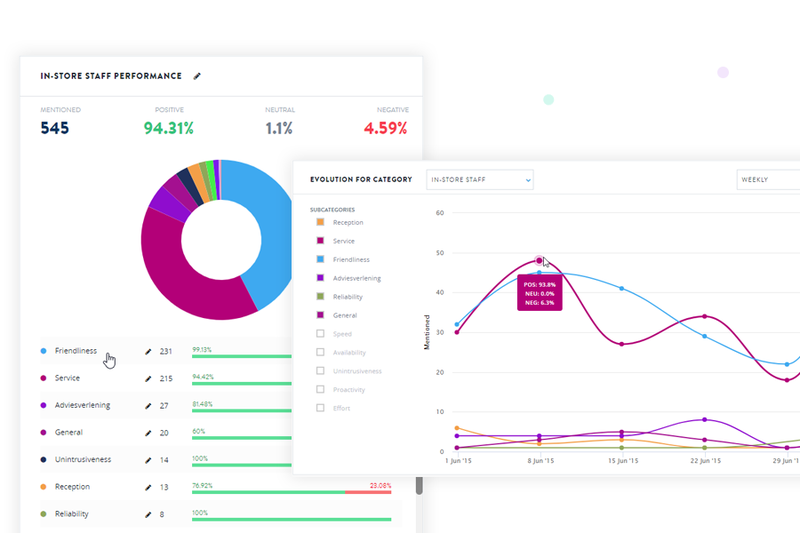 In other words, dashboards can be linked to employee specific KPIs, our AI filters out any irrelevant feedback. 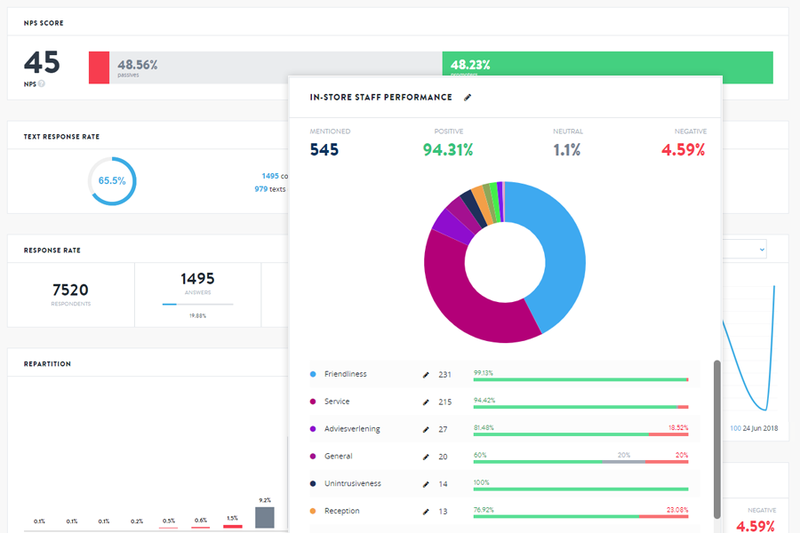 Design a dashboard that focuses on human interaction KPIs for your front office staff. In ISAAC we created a click-through system that enables employees to read specific customer feedback, making it easier to understand what they should focus on exactly. Non-facing departments (formerly known as back office) do not have direct contact with customers but a lot of customer feedback still deals with matters that your back office staff is concerned with. Make sure you set the right KPIs, and customize dashboards for employees of every department within your organization. 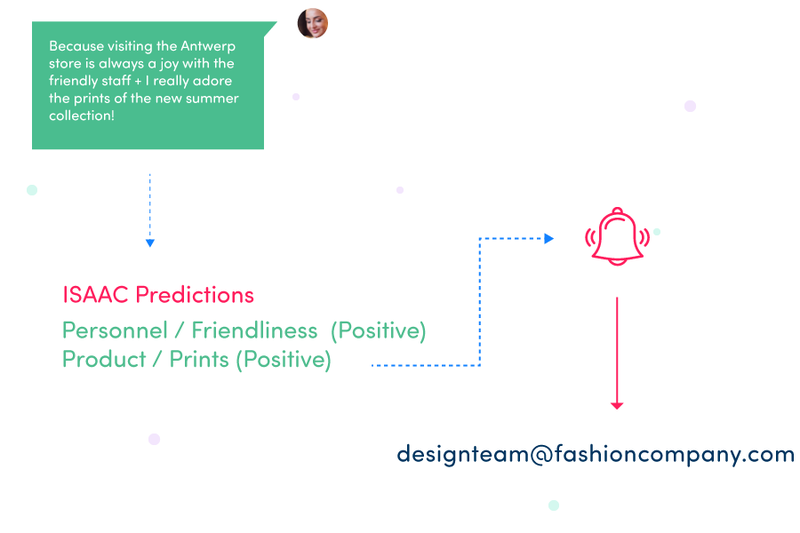 You can focus on website or app related feedback for your digital team, or share feedback about clothing collections with your designer team. Want to know more about engaging employees in your company?